Posted on: March 20th, 2019	by Jennifer A. 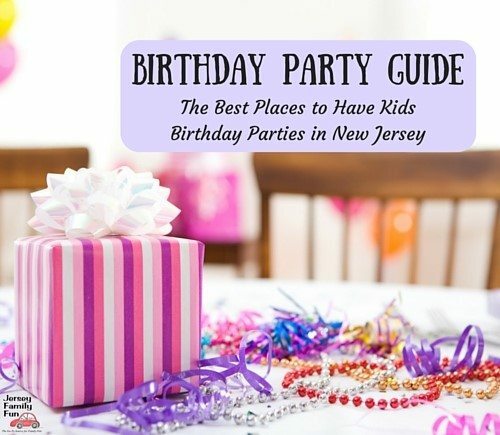 This is an advertorial post on behalf of ESF Camps in New Jersey, a summer camp in Central New Jersey and Southern New Jersey. ENTER TO WIN A FREE WEEK AT ESF CAMPS AT 3 GREAT LOCATIONS NEAR YOU! Get ready to LOVE YOUR SUMMER! We’re thrilled to partner with ESF, an award-winning summer camp, to give one lucky Jersey Family Fun reader a free week of camp at one of 3 premier locations near you including: William Allen Middle School (Moorestown, NJ), The Ranney School (Tinton Falls, NJ) and The Lawrenceville School (Lawrenceville, NJ). 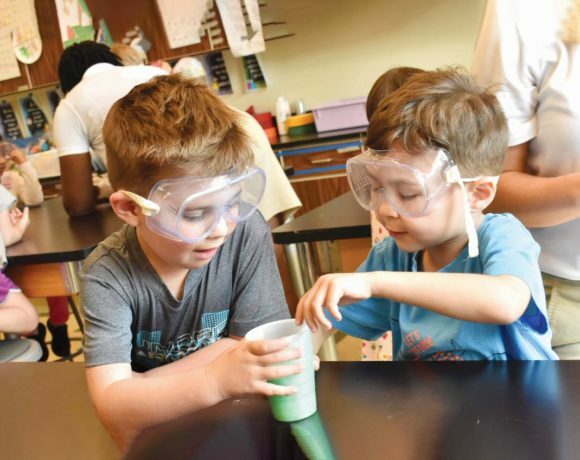 ESF Summer Camp is where every kid is free to explore their curiosity and power their potential. 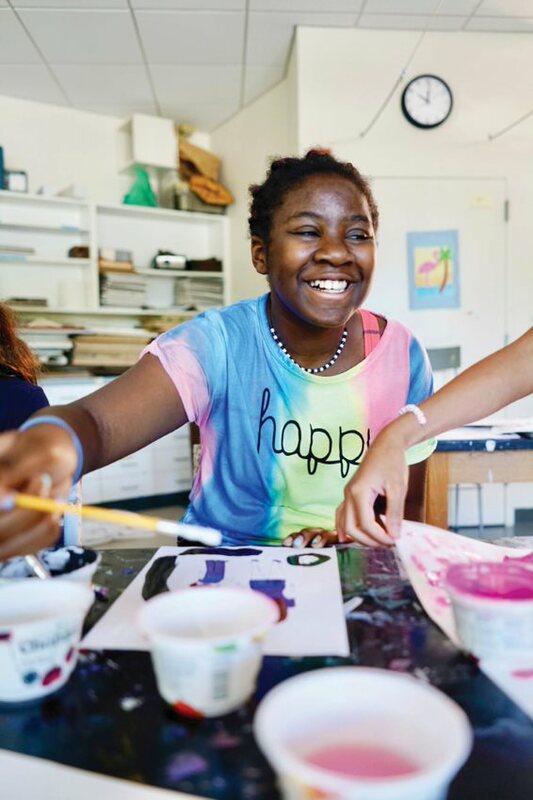 Through best-in-class curriculum campers, ages 3-15, ignite their interests and prepare for bright futures in any field, whether it’s sports, science, technology, the arts or all of the above. The ESF community is encouraging and fun, and ESF’s adult staff knows that their most important role in your campers’ lives is to provide a safe place to build character, inspire gratitude and spark friendships. Mindful of the trust parents put in the camps, ESF has made a huge commitment to safety, health and well-being. ESF has protocols in place from car line and security to handling special allergies or other needs. Families can rest assured that their children are in the best of care. The ESF experienced adult staff possesses a deep commitment to the development of their campers and a profound sensitivity to the unique needs of each and every one of them. Mini Camp for Rising Pre-School. A fun-filled, first camp experience for our youngest campers. Enjoy musical adventures, science and nature, crafts, water play, sports, theme days and more. Day Camp for Rising Grades PreK-3rd. Way more than a typical day at camp! 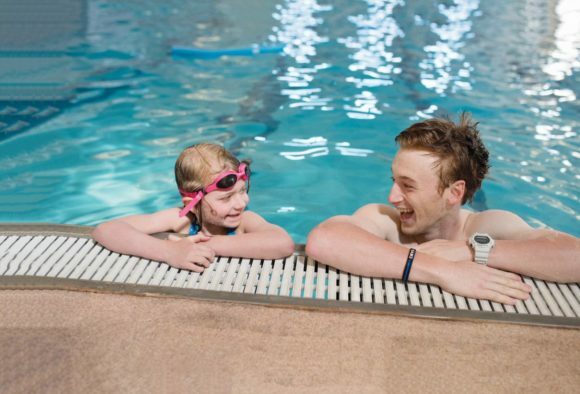 Day Camp includes daily Red Cross certified swim instruction and exciting hands-on activities, which include, art, sports, science, drama, special events, theme days, time-honored traditions and more! Campers are grouped by rising grade level. SportsLab powered by Under Armour for Rising Grades 1st-9th Sports Camp Reimagined! 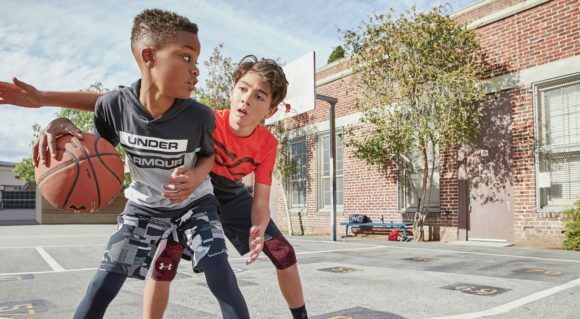 The NEW SportsLab, powered by Under Armour, offers multiple sports, skills, contests, game play, daily swimming and fun weekly events. Novice and experienced athletes are exposed to a dynamic combination of sports and character. Campers are grouped by rising grade level. Senior Camp for Rising Grades 4th-10th. Experiences they’ll never outgrow! 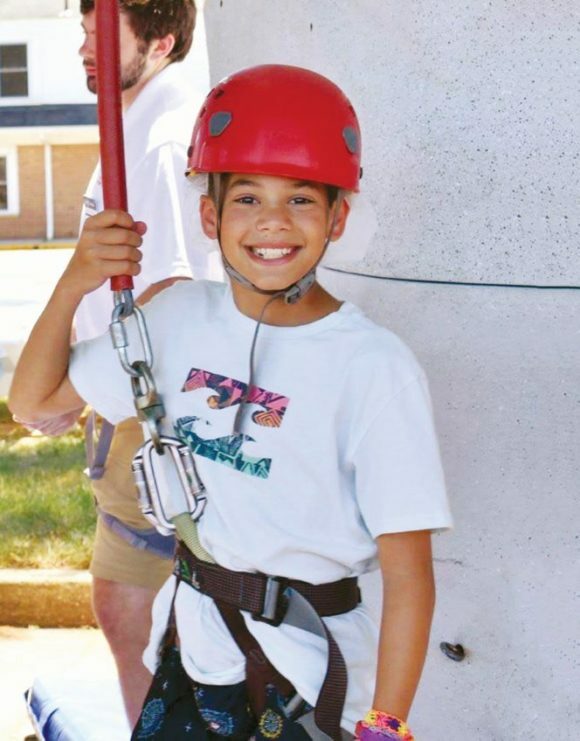 Reach new heights through innovative True Life Adventures designed to broaden the horizons for our oldest campers. Enjoy fun, award-winning activities: swimming, art, sports, team initiatives, service learning, leadership skills and much more. Campers are grouped by rising grade level. Specialty Major Camps for Rising Grades K-8th. Choose a major and begin a journey! Dive into your passions with one of our Specialty Major Camps for varied grades and interests in science, the arts, engineering and more. Campers form collaborative teams by rising grade level. Offerings vary by location. Technology + Design + Code Camps for Rising Grades K-8th. Choose from a variety of technology camps for a hands-on experience that allows for imagination, exploration and fun! Campers form collaborative teams by rising grade level. Offerings vary by location. Tennis Camp for Rising Grades 1st-10th. 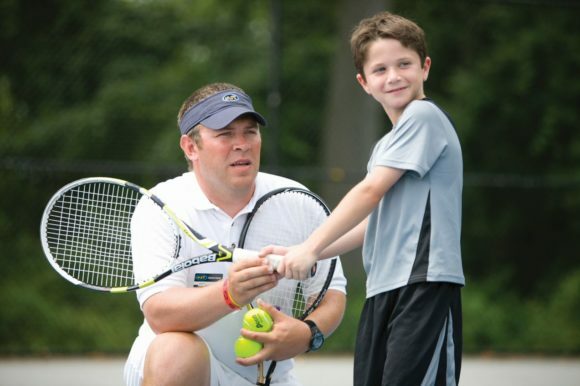 Tennis Camp provides individual and group instruction with match play and continuous improvement for all skill levels. Campers are grouped by skill and rising grade level. Offerings vary by location. Before and after care is also available on a regular or a drop-in basis. Campers can start the day as early as 7:30AM and can stay as late as 6:00PM. Club OT campers are divided into groups by age and enjoy sports, games, crafts, chess, book club, drama and much more. Afternoon snacks and refreshments are provided. Flexible scheduling with no pre-payment or pre-registration required. If your kiddo is into sports, they can try a clinic after camp, Monday through Thursday, until 5:45PM. Parents and children are welcome to meet with counselors and learn more about ESF’s exciting summer offering. RSVPs are strongly encouraged, but walk-ins are always welcome! You can also visit ESF’s website and use our amazing program finder to discover the perfect fit for your child or call us at 800-529-CAMP (2267). Who is ready to win a week of summer camp with ESF Camps in New Jersey? 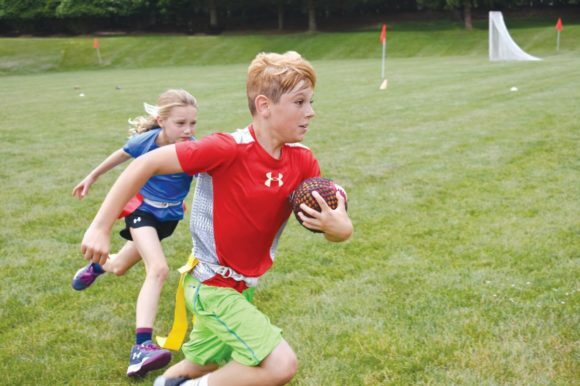 One lucky Jersey Family Fun reader will win a free week of camp at one of 3 premier locations including: William Allen Middle School (Moorestown, NJ), The Ranney School (Tinton Falls, NJ) and The Lawrenceville School (Lawrenceville, NJ). PROMOTION PERIOD. Promotion begins from March 21 , 2019, 8:00 AM (EST) (“Promotion Period”). All entries must be received by Thursday, April 18, 2019, midnight (EST) to be eligible for that day’s drawing. WINNER SELECTION: One winner will be drawn from all entries received during the announced Promotional Period using a randomized computer system, rafflecopter.com, from among all eligible entries received during the Giveaway. Winners will be emailed directly. WINNER NOTIFICATION AND RESPONSE: The selected winner will be contacted via email at the conclusion of the Promotional Period. A response is required within 24 hours. If no response is received in that time, the selected winner will forfeit their prize and another winner will be selected at random from the list of eligible participants and notified. Subsequently selected winners will also have a 24 hours period to respond. By submitting your email address to this giveaway you agree that ESF Camps may email you with regards to this giveaway and their summer programs. Camp (does not include Club OT, Extended Day Program or the Lunch program). All the camps sound great!! My kids would love any of the camps at the Ranney school. I think my daughter would really love the tennis camp and my son would probably love day camp. What a great experience and opportunity for a 13 year old girl! This could be a dream summer for Kaitlyn! I would love to enroll my 5 years old boy to Day camp. He would enjoy doing all fun activities. This would be blessing to win. Thank you! I would love to enroll my son to their day camp. It would be really fun learning for him. I was once a counselor at ESF for 3 years. I would love for my son to participate in it. It’s an amazing camp that I am so happy I was apart of. He would love the mini camp! Day camp I mean since he will be 5. This would be so great to win!! I have two kids ages 8 and 9. Both of my children have a variety of interests. As a single mother, I would feel blessed to win them a week of summer camp. My son would like to do a variety of the camp offerings from science to tennis. They offer a great variety of things to keep the kids happy and learning. Lots of good options. 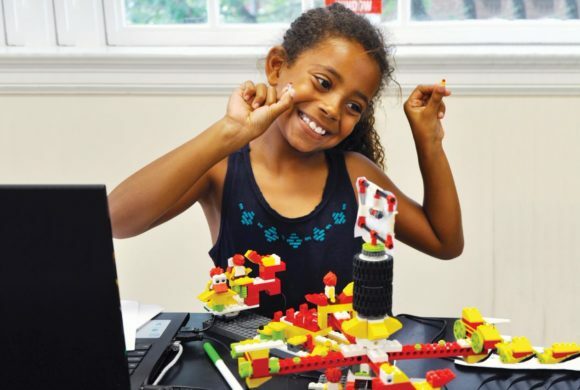 My child would love to visit the Ranney camp for the Legos Masters camp! It would make his summer the best one ever! My son would love Specialty Major Camp, specifically coding. He loves learning more about how to make video games. My son is really looking forward to the Roblox program and learning the coding aspect of it. This is a unique opportunity and we are grateful he has the ability to be exposed to it. My son would enjoy day camp, sports camp and technology camp. He is always ready to learn new sports and technology. This would be such an pleasant chance for him. Our boys have been enjoying their summers at ESF Lawrenceville for years! Our oldest, who is 14 years old, loved day camp, progressed to senior camp, then enjoyed sports camp!!! All gave different opportunities! He met lifelong friends!!!! Out younger son, age 10, has enjoyed day camp, sports camp, and technology camp!! He lives having a choice on picking which camps he attends!! We can’t Thank ESF for all they do!!!! My daughter would love the tennis camp; she just told me she would like to earn how to play tennis. My daughter is most interested in biology camp. She pretty much made up her mind about what she is going to do when she grows up when she was 7 years old, and now she is working hard on fulfilling her dream to be a biochemist. My son is most interested in Day camp because its perfect for his age and full of his favorite activities. We never enrolled him in a camp before. but we are planning for this year. This would be his first camp experience. I would love to win so we can try and continue. Thanks for this wonderful giveaway and all helpful blog posts.